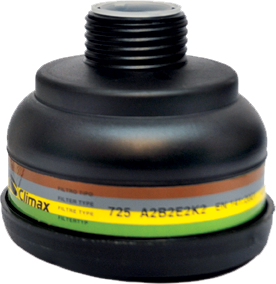 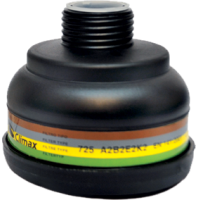 Filter 725 is designed to be attached to any certified mask that has an adapter standardized compliant with standard EN 148-1. 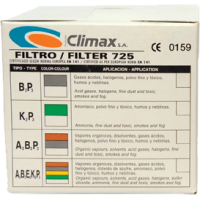 The filter 725 is designed for entering polluted environments with oxygen content of over 17%. 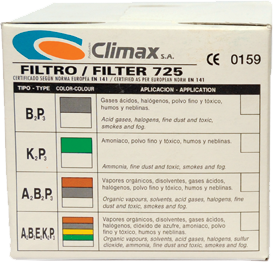 The filter does not supply breathable air, instead, it purifies the existing air when it passes through the filter.